Preheat oven to 400°F. Saute onion, celery, carrots and potatoes in margarine for 10 minutes. Add flour to sauteed mixture, stirring well, cook one minute stirring constantly. Combine broth and half and half. Gradually stir into vegetable mixture. Stir in salt and pepper; add chicken and stir well. 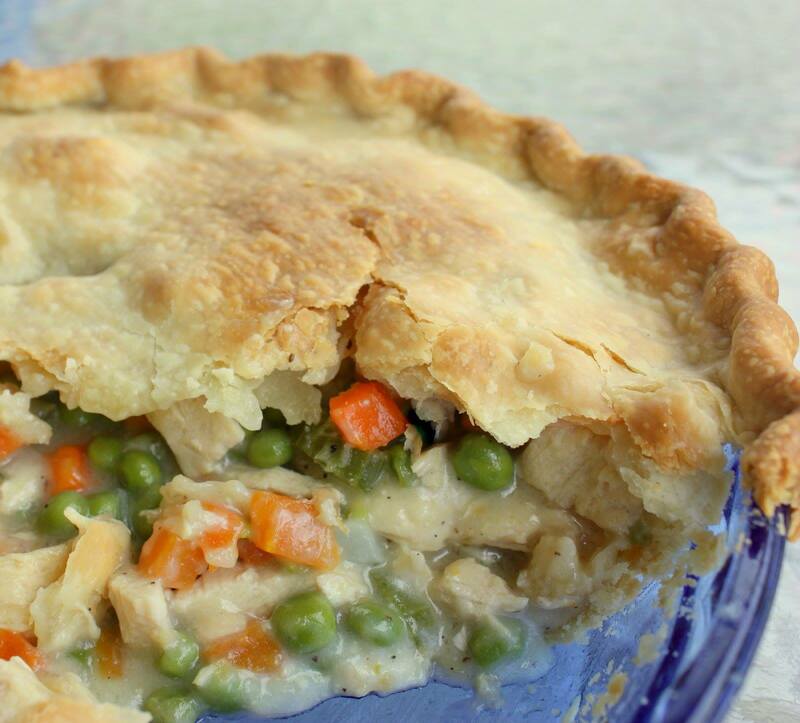 Pour into shallow 2 quart casserole dish and top with pie shells. Cut slits to allow steam to escape. Bake for 40-50 minutes or until pastry is golden brown and filling is bubbly and cooked through.